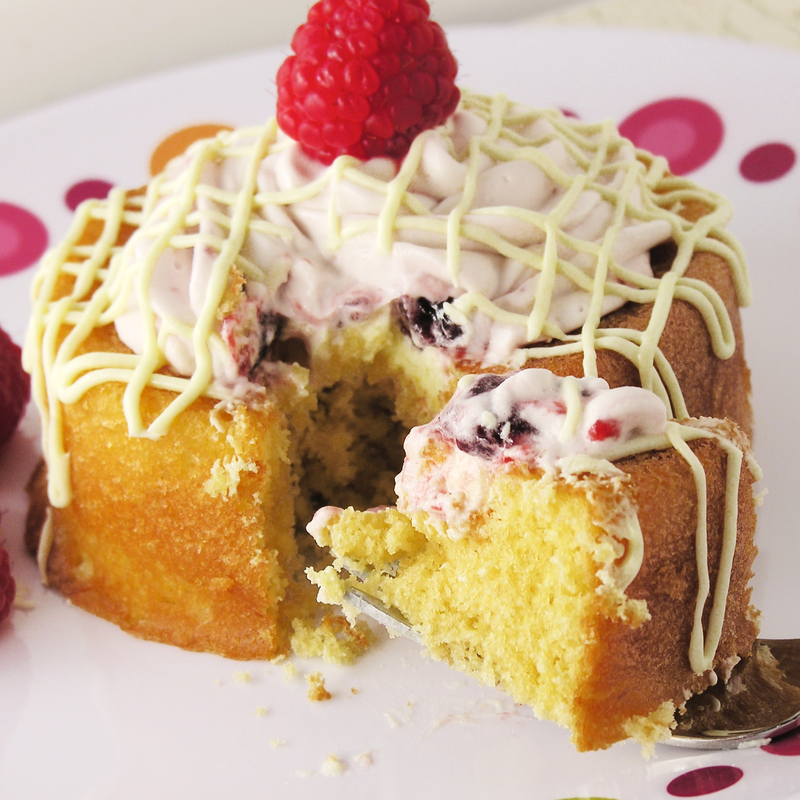 Moist yellow cake bowls filled with lemon and topped with whipped raspberry cream. 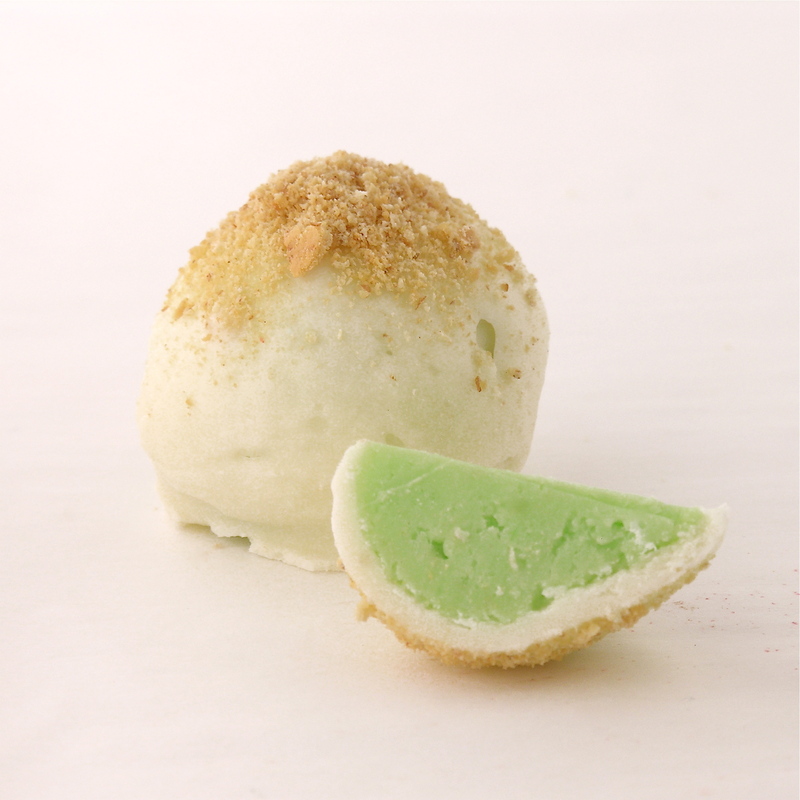 These are such a unique and flavorful dessert- you are going to love them! This is recipe #2 in my tribute to melted frosting. Last week we used a chocolate frosting and this week- lemon frosting. 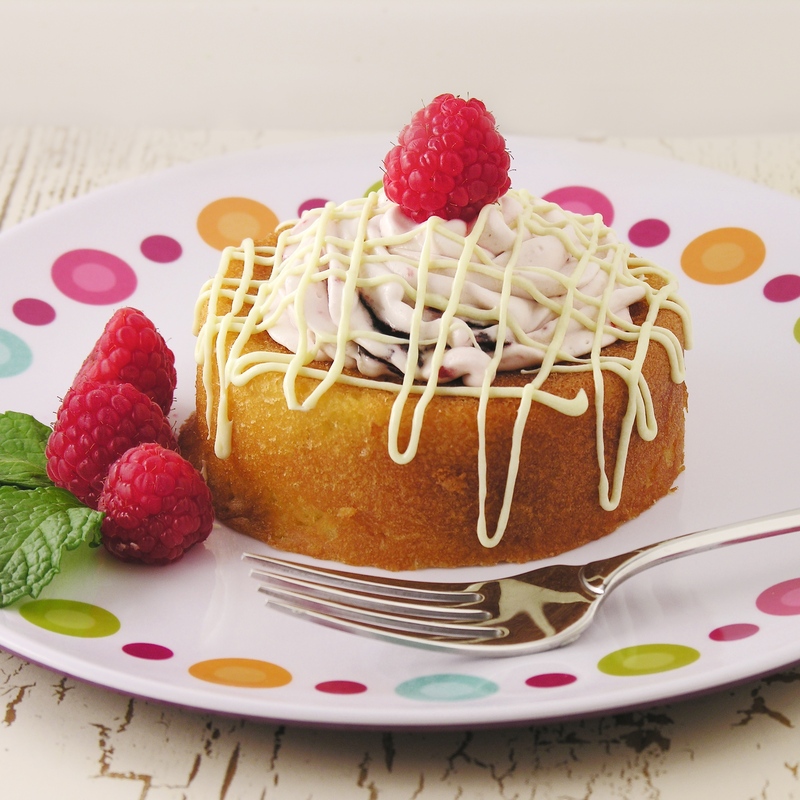 The plan for this recipe was chocolate cake bowls with chocolate filling and raspberry cream. I caught myself half-way through making a yellow cake mix before I remembered I wanted to do chocolate though. I have a lot on my mind these days! SO, I sat down and thought about what flavors are good with yellow cake mix and I already had a tub of lemon frosting…and here we go! It was a fortunate mistake, because these are delicious. One of my new favorites! I even ate one for breakfast, and with a cup of coffee? Perfection! Make yellow cake mix according to package. Grease 4 Wilton fillable mini cake pans , and fill each one about 2/3 full. This will use about 1/2 of the batter- so you will fill these pans again once the 1st set is through baking. Bake at 350F degrees for 20-30 minutes, until a toothpick inserted comes out clean. 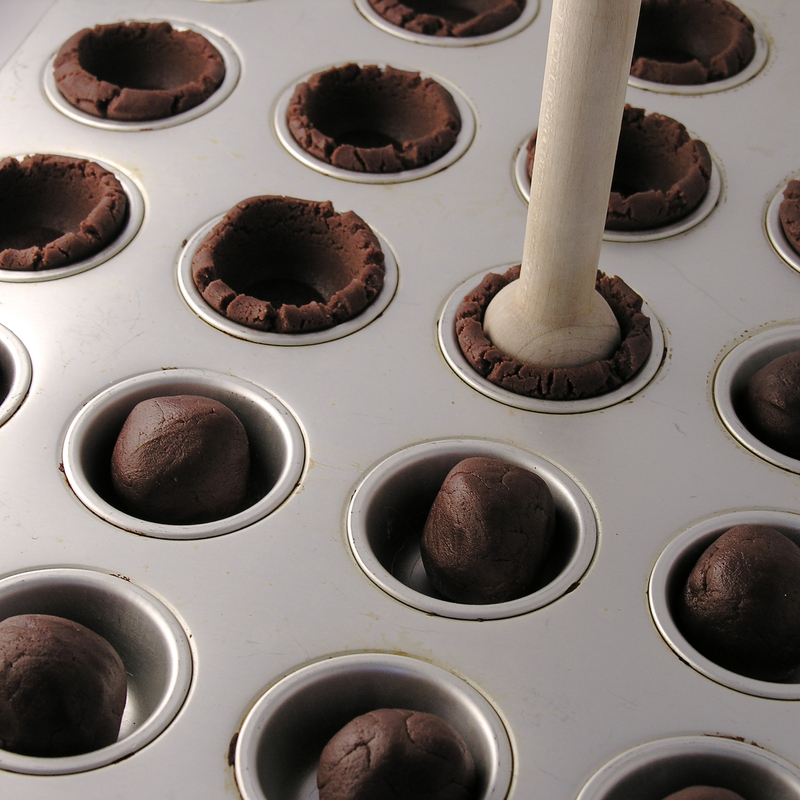 Tip cakes onto a cake rack to cool. Trim bottoms flat, if needed. Spoon tub of frosting into a microwave safe bowl and heat in microwave for about 30 seconds. Stir. 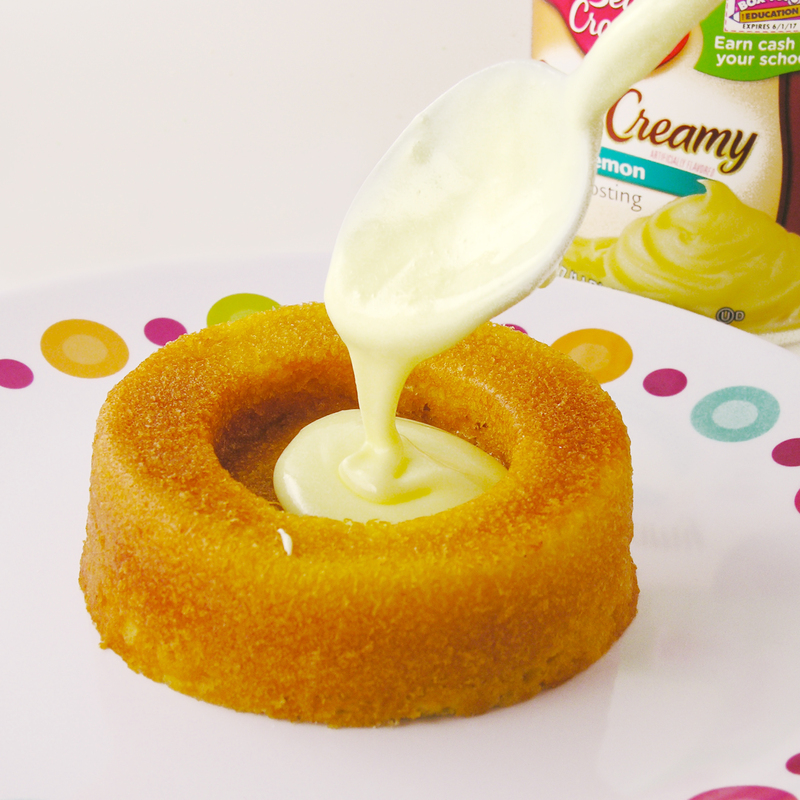 Spoon melted lemon frosting into each cake “cup”, filling each to the top. Place remaining frosting into a small zip top bag. Place Dream Whip, milk, powered sugar and vanilla into a large mixing bowl and beat on high for about 2 minutes, until a thick, whipped consistency. Fold raspberry preserves in, and place into a zip top bag that has been fitted with a decorator tip. Pipe whipped topping on top of each cake. Clip a small corner off the bag of remaining frosting and drizzle liberally over the top of each cake. 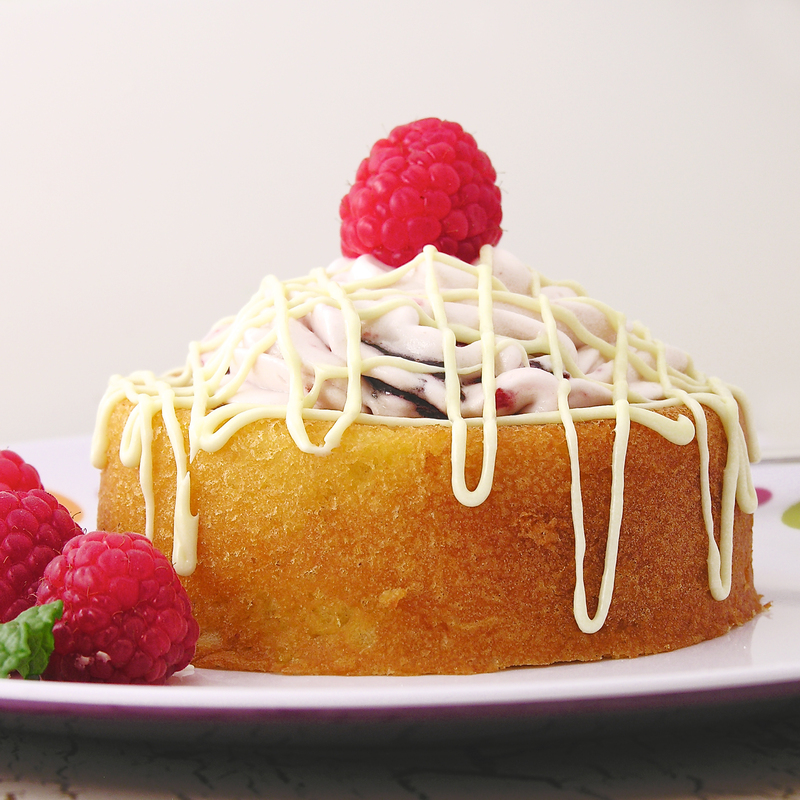 Top with a fresh raspberry if desired. Keep these chilled until serving- and ENJOY!!! My thoughts: I’m not kidding you– these are amazing! If you don’t want to use the pans (they are a really fun addition to your kitchen though!) you could do a layer cake: 2 round cakes with lemon icing and whipped topping in the middle and lemon icing poured over the top- see my Chocolate Mousse Cake for how to assemble. These are a must-try recipe!!! 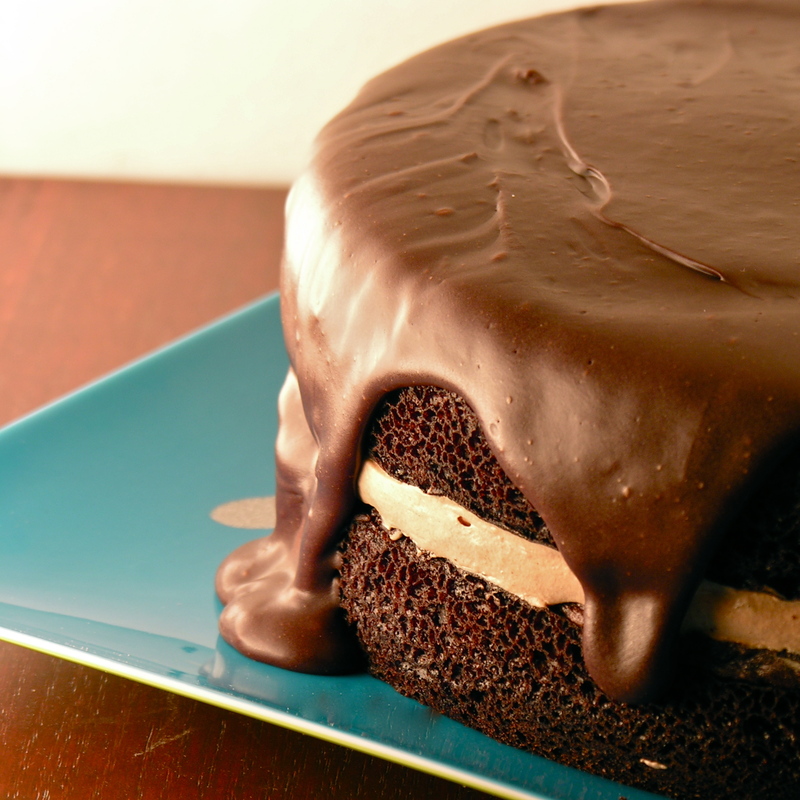 SO easy with that melted frosting– love it!!! Want some other ideas for those cute little pans? 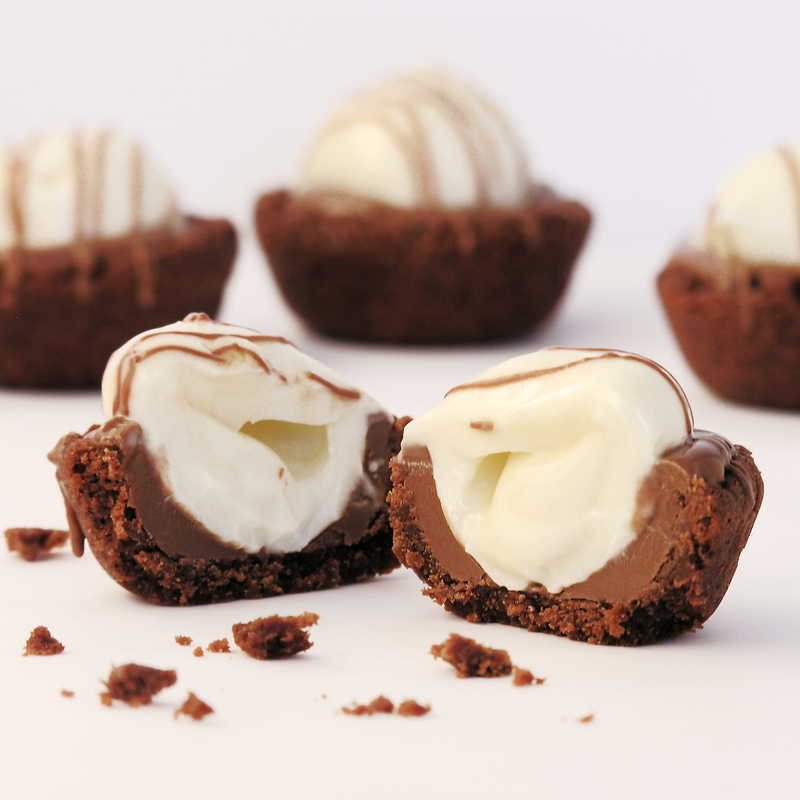 Here’s a couple- just click on the picture to see the recipe! Ruthanne news: I don’t often post about my personal life here, because my goal is to just get yummy recipes to you without a ton of personal commentary. When I really want to just see a recipe, I hate scrolling through 3 pages of of kids and dog stories first, so I promised myself that this site would be more about recipes than about me!!! First, Warner Press Publishing contacted me about making a boxed set of greeting cards from my recipes and photos. These are available now in many Christian bookstores or on their site. Click here to check them out! Second, I have a cookbook for kids coming out this summer! I’m so excited about this project- there’s nothing better than time in the kitchen with your kids! Details to follow on this! Third, I lost my job in genetics. Our hospital can “no longer invest in expensive cutting edge technology due to the affordable care act”. Thats a quote. I struggled with what comes next and eventually (after much soul searching and prayer!) decided to move out to Arizona for the next 8 months to work alongside a church in the Navajo Nation. 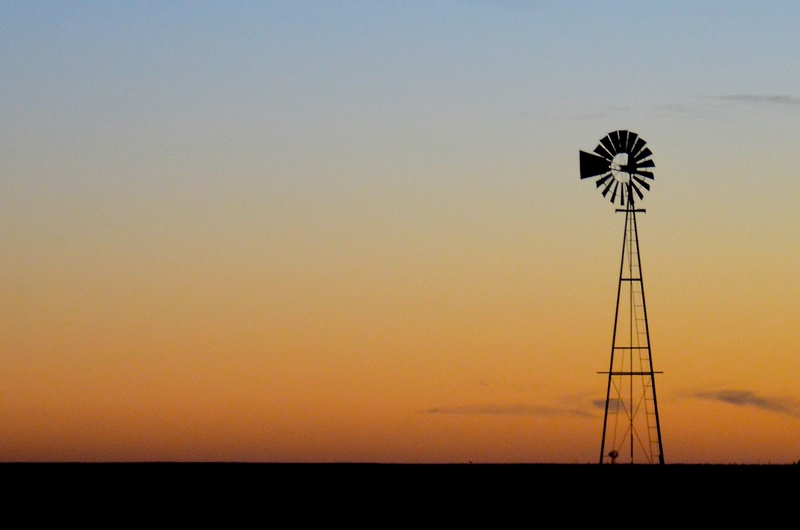 I’m writing this blog from the comfort of a motel in Tucumcari, New Mexico. I’ve driven about 1200 miles from home and I’m about 6 hours from my new home in Rough Rock Arizona. My car is literally packed to the ceiling with things- about half of those things are supplies for baking, blogging and photography! I’m hoping to continue creating and posting for all of you! Posted in Cakes and tagged baking, best, breakfast sweets, brunch dessert, brunch food, cake, chocolate frosting, cream, dessert, dream whip, fancy dessert, fruit, lemon, lemon frosting, lemon icing, melted frosting, party dessert, raspberry, raspberry cream, sweets, wilton fillable cake pans, yellow cake, yellow cake mix. Bookmark the permalink. 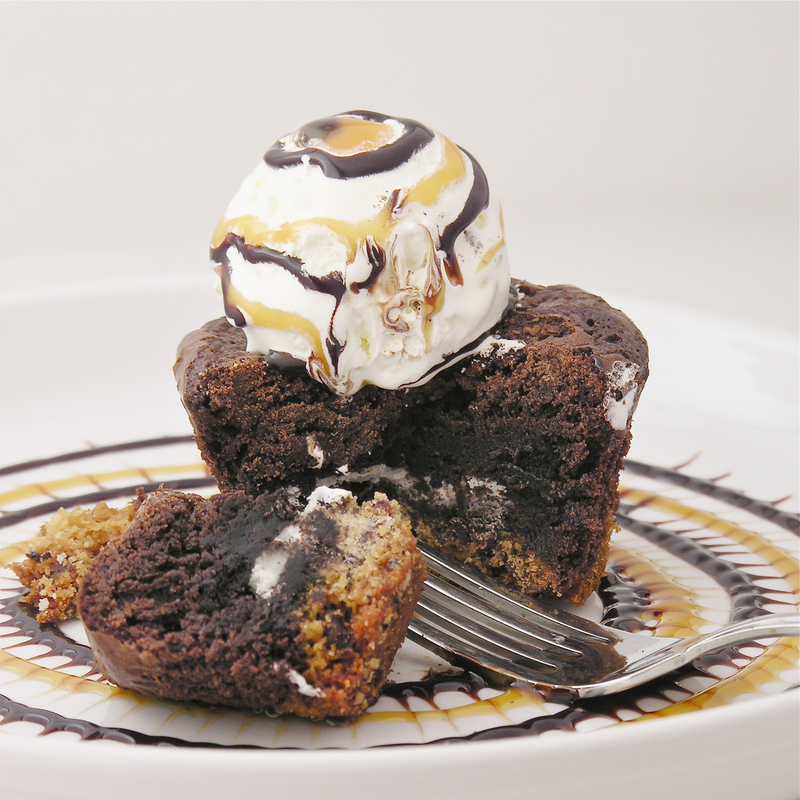 Chocolate chip cookie dough topped with an Oreo cookie topped with a chewy brownie… does dessert get better than this? 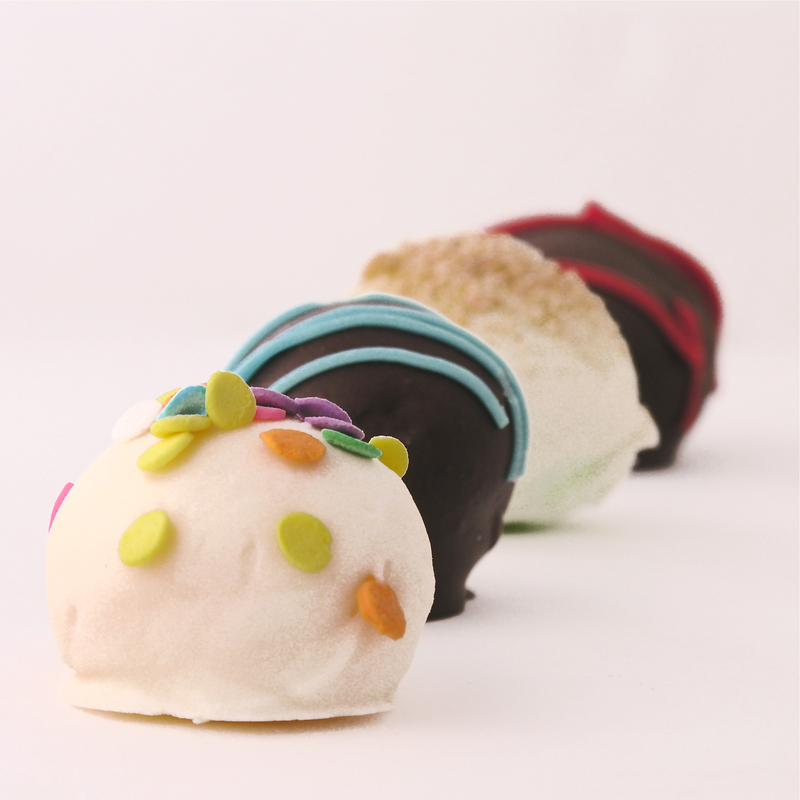 Plus they are just so cute- and fun to eat! Put 24 cupcake liners into cupcake tins. 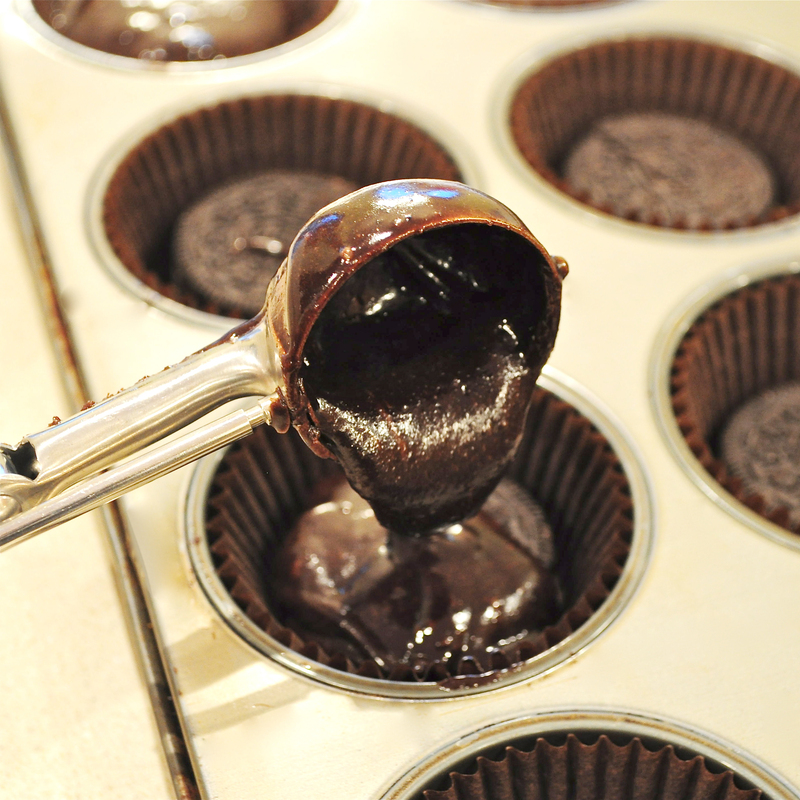 Press cookie dough into the bottom of each cupcake liner so it covers the bottom of each cup (I thought that as the dough warmed a little bit to room temperature that this was easier). 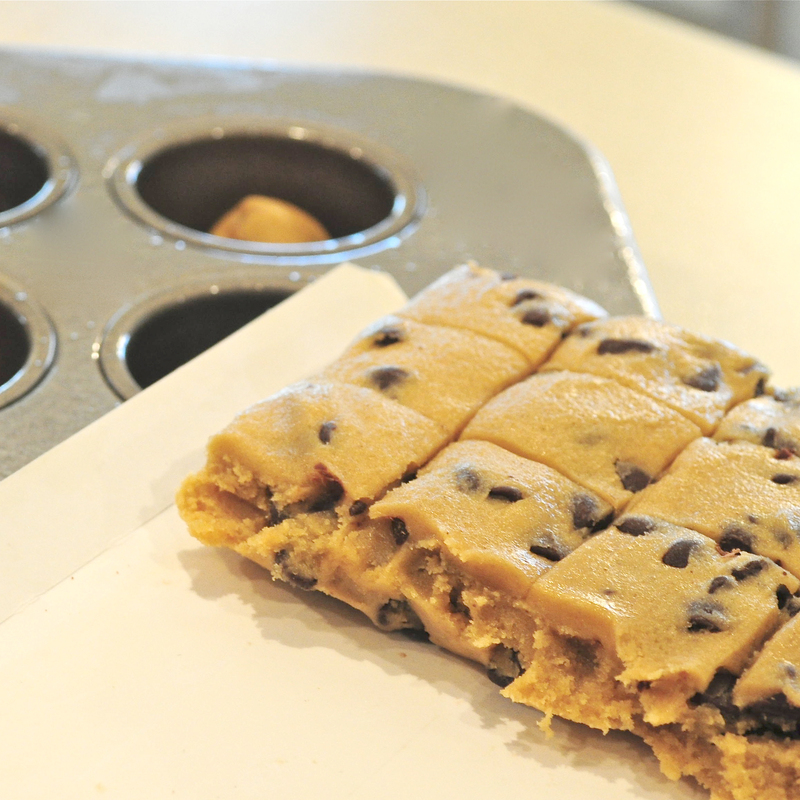 Press an Oreo cookie on top of each bit of cookie dough. 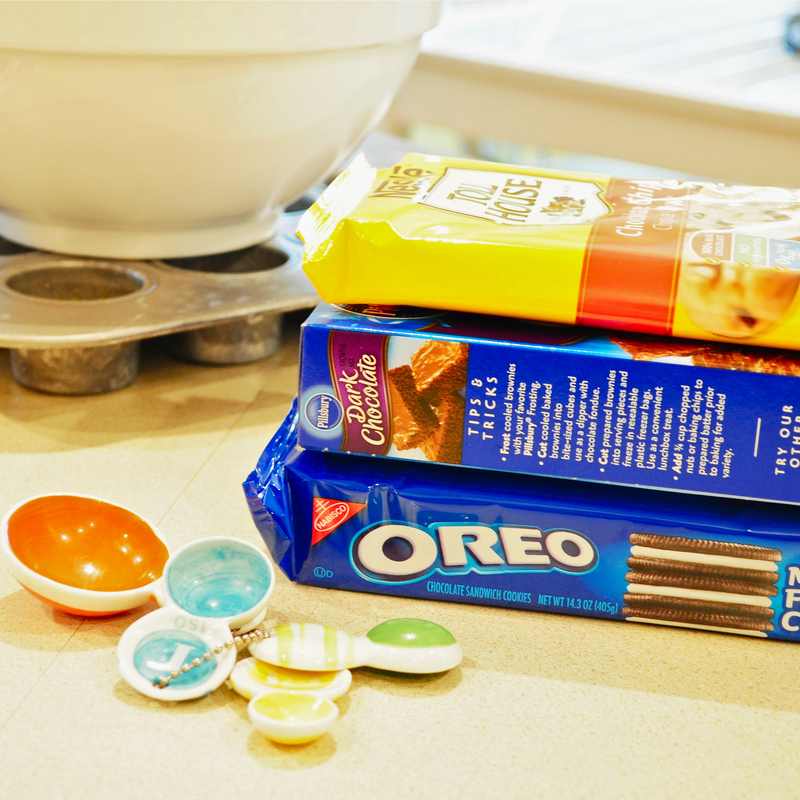 Prepare the brownie mix as directed on box and scoop batter evenly into all 24 cups, covering the Oreo completely. Bake at 350F degrees for 20-30 minutes. Check often and be sure you don’t over bake the brownie. They are much better a little chewy! Remove from oven and serve warm or at room temperature. I served with a little whipped topping and chocolate/ caramel drizzle. 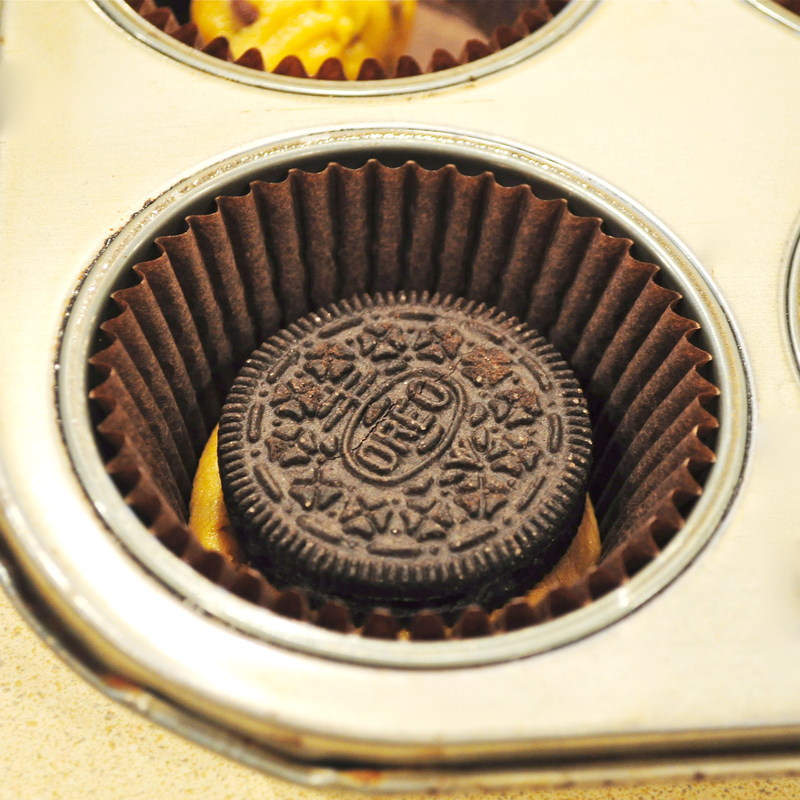 Posted in Cookie Cups and tagged baking, brownies, chocolate, chocolate caramel, chocolate chip cookie, chocolate chip cookie dough, chocolate chip cookies, cookie cups, cookie dough, dessert, fancy dessert, food, Oreos, unique dessert. Bookmark the permalink. 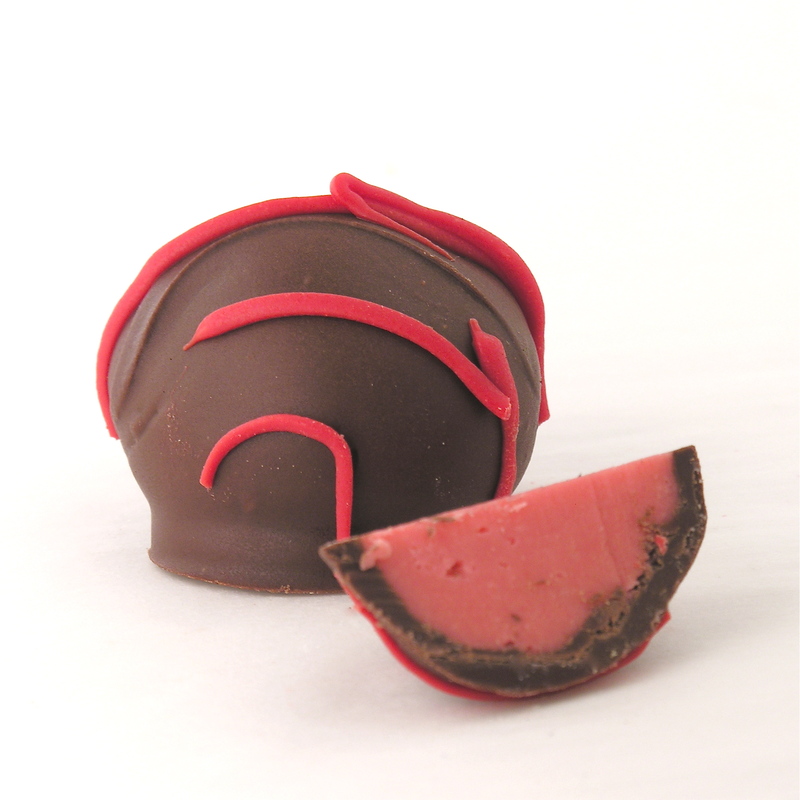 These chocolate-dipped truffles have creamy sweet centers made with the unique flavors of Kool-Aid drink mixes! Your kids will love them!!! Cream together cream cheese, powdered sugar and Kool-Aid in a large mixing bowl. 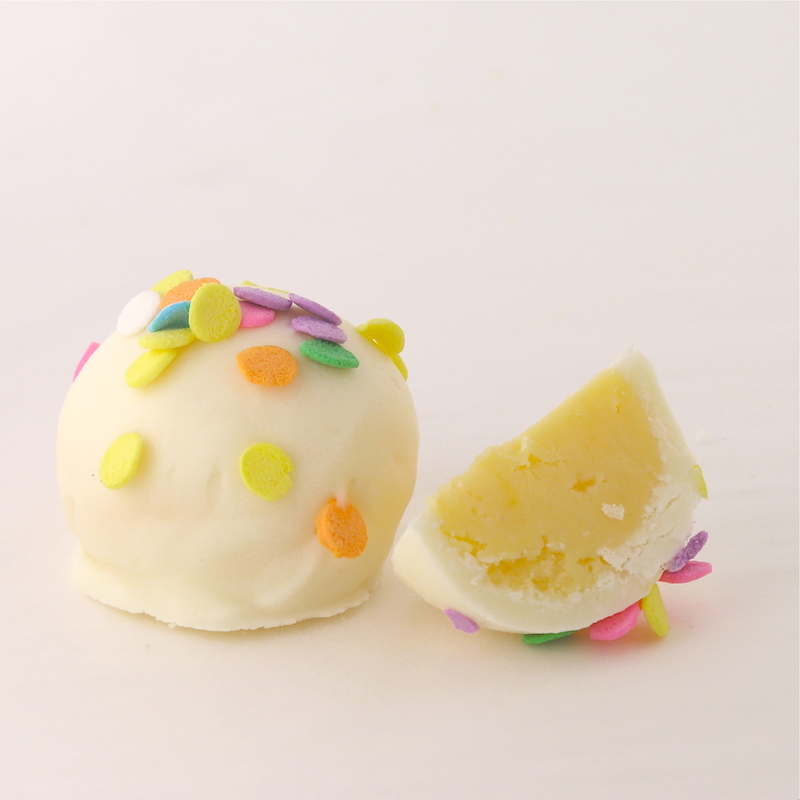 Melt white chocolate chips in the microwave in 30 second increments (stirring in between) until smooth and creamy. Add melted chips and vanilla to cream cheese mixture and combine until completely smooth. 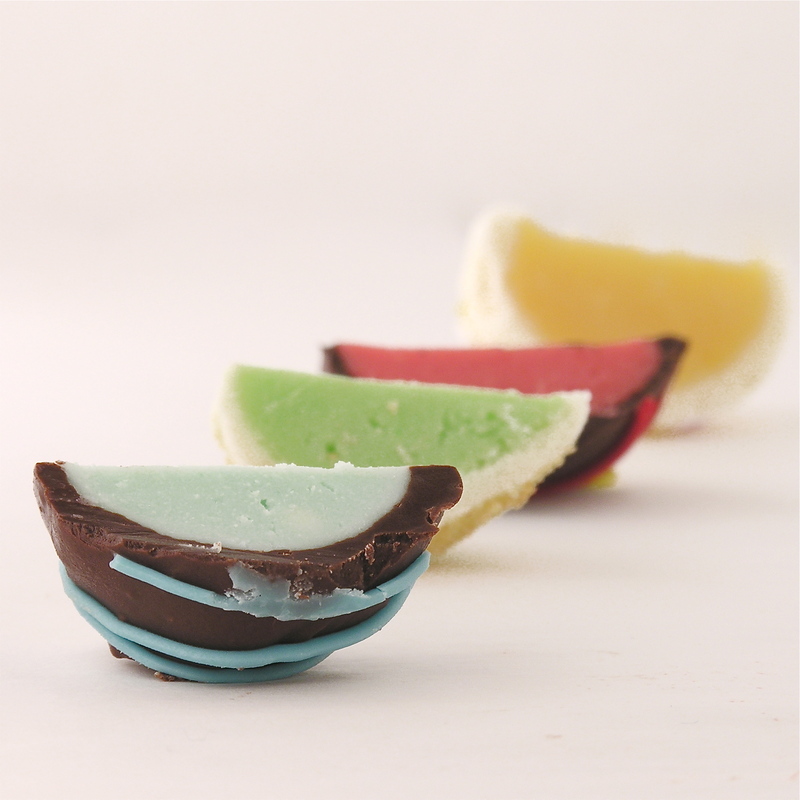 Melt the Wilton’s Candy Melts in the microwave in 30 second increments until smooth and creamy. 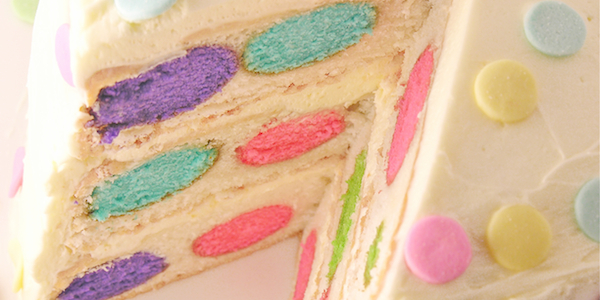 Decorate with sprinkles, cookie crumbles or drizzles of fun colored chocolate. My thoughts: These are so much fun to make!! I just love them. I actually divided the recipe in half (and used just 1/2 of a packet of Kool-Aid) so that I could try lots of flavors and not make 4 full batches. One batch makes quite a few truffles- about 40 if you use a small cookie scoop to measure them out. My warning???? These are SO sweet. (SOOOOOOOO sweet!) They almost make your teeth hurt they are so sweet. 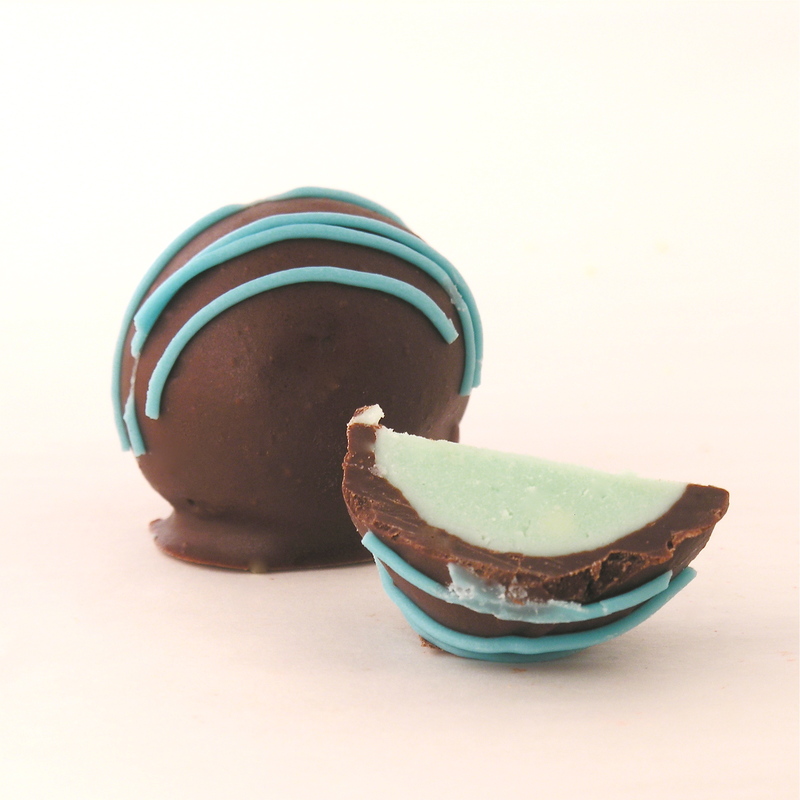 They are great with a cup of coffee though, and they will cure you of your sugar cravings fast! 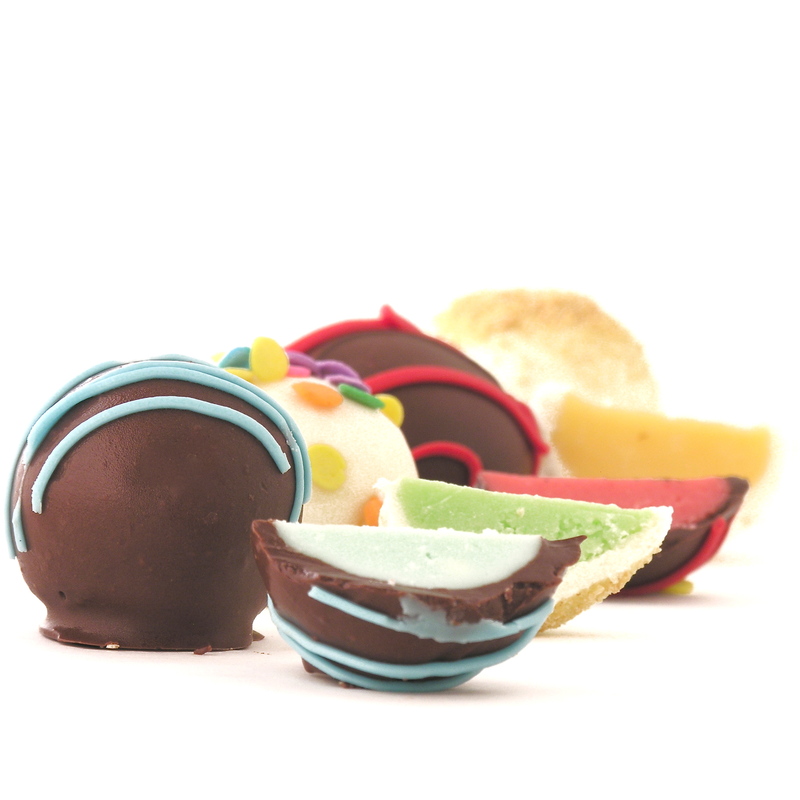 Posted in Candy and tagged candy, dessert, dipping candy in chocolate, drink mix, fancy dessert, fruit truffles, kids candy, kids recipe, kool-aid, Kool-Aid dessert, Kool-Aid recipe, recipe, truffles, unique candy, white chocolate, wiltons candy coating. Bookmark the permalink. 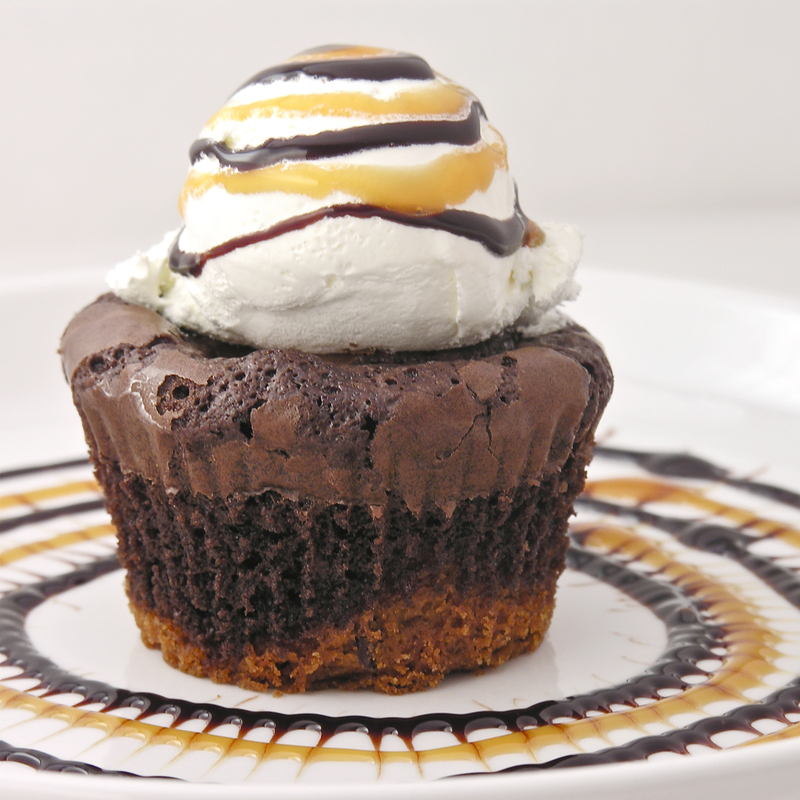 Graham Crust topped with soft chocolate, mini marshmallows and creamy whipped pudding- all frozen in a cute individual cup! YUM! 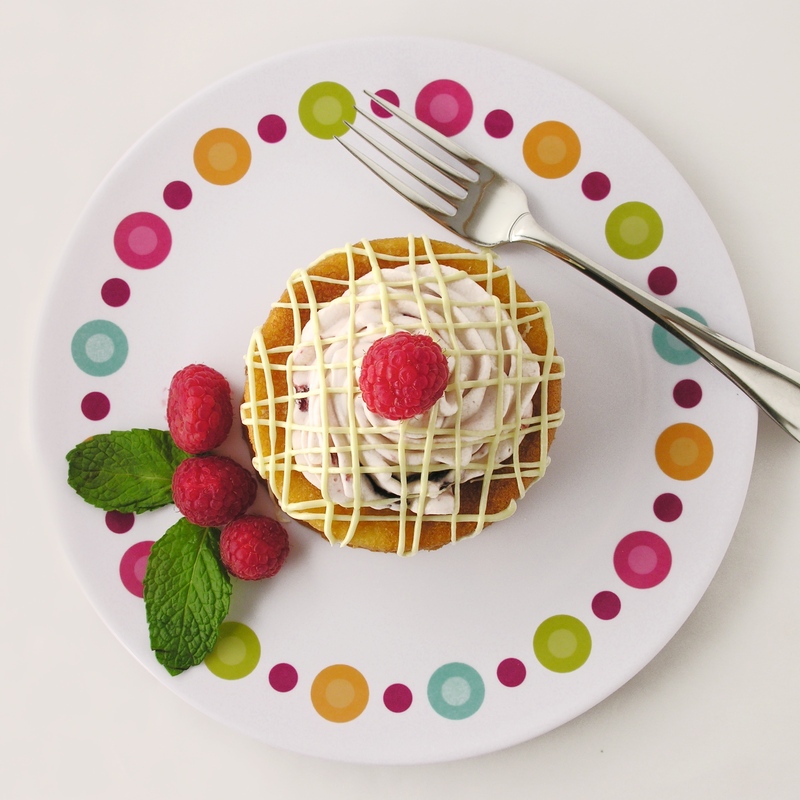 I’m back with a recipe using my Chicago Metallic Mini Cheesecake Pan that I just love. My Chocolate Chip Cookie Cheesecakes were my first experiment using this pan and these are my second experiment. 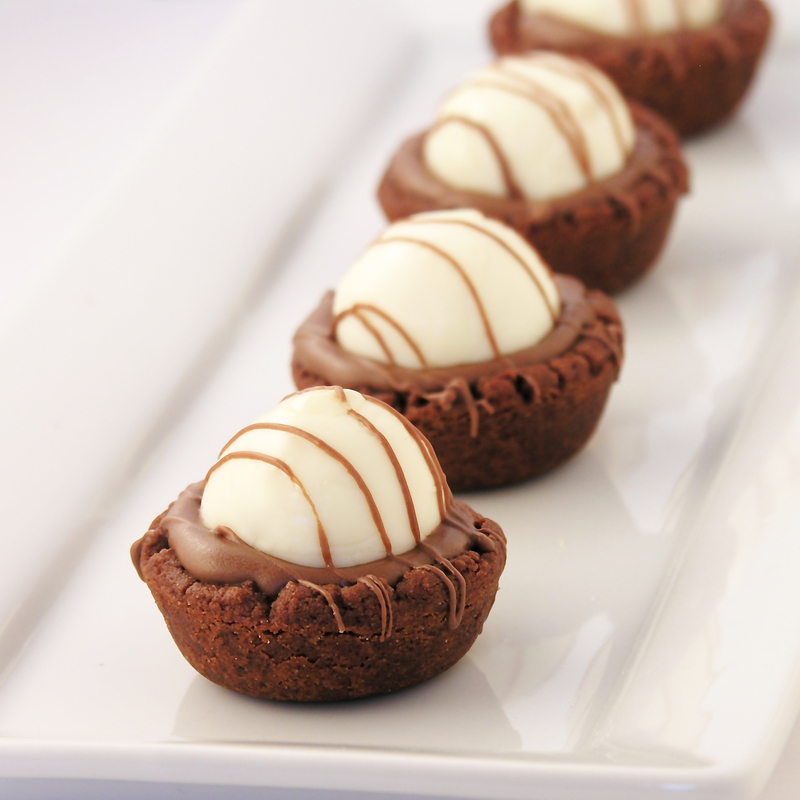 I’m just so impressed by how easy it is to make these using this pan- love it! 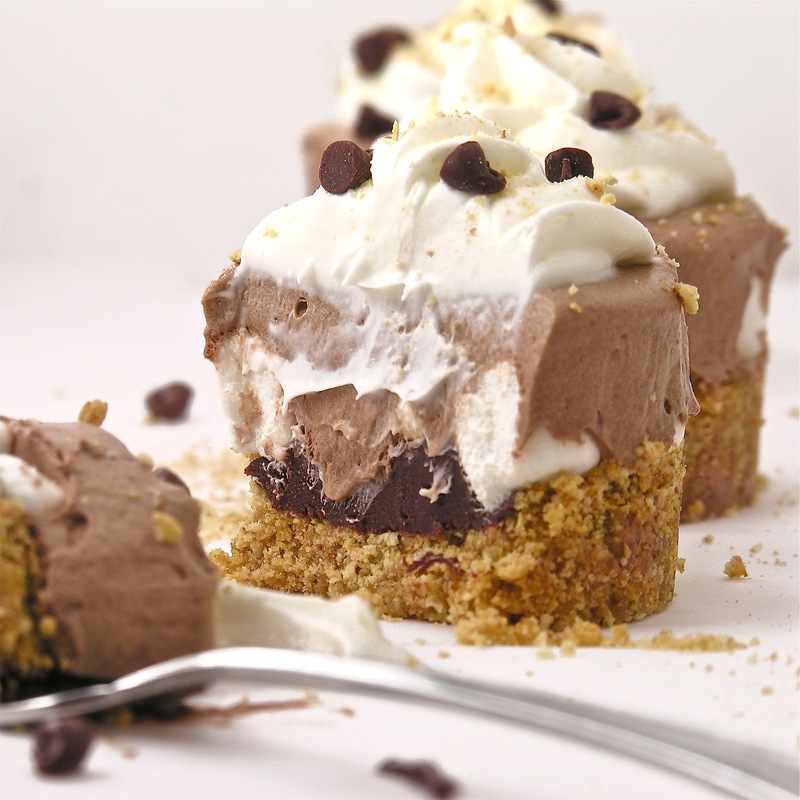 These frozen treats are rich and creamy and oh-so-yummy! I hope you love them as much as I do! Crush graham crackers into fine crumbs. Melt butter and add to graham crackers, mixing until well combined to make crust. Prepare pan by placing disks into the bottom of each cup. Evenly divide crust mixture into all 12 cups, saving about 1/4 cup to use as topping later. 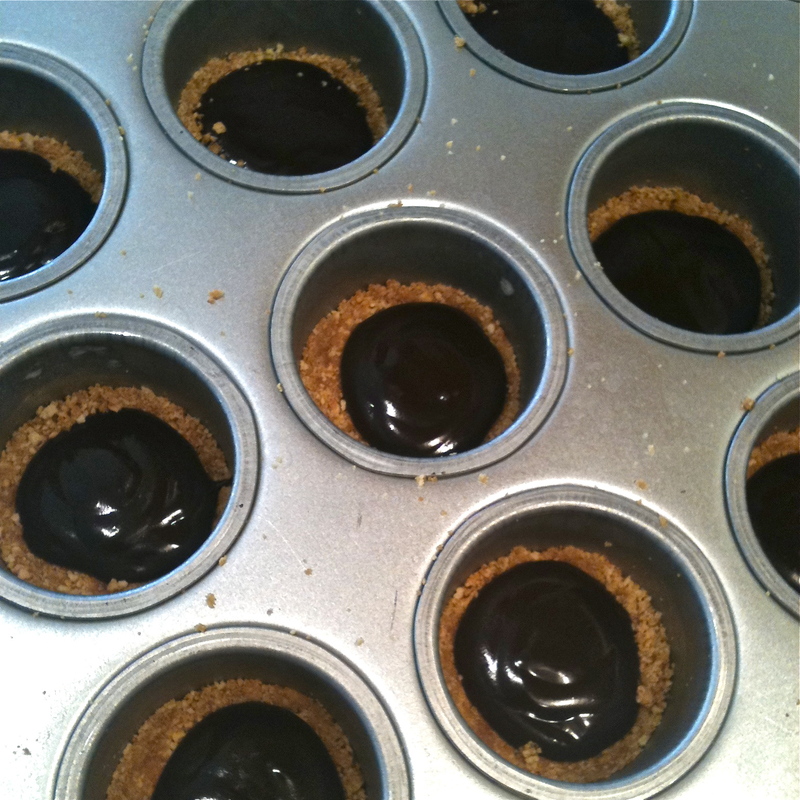 (I used a Mini Tart Shaper to press crumbs firmly into the bottom of each cup). Use a knife to smooth the tops level with the top of the pan. Freeze for at least a couple of hours. Allow the pan to warm just a bit before popping each dessert cup out. 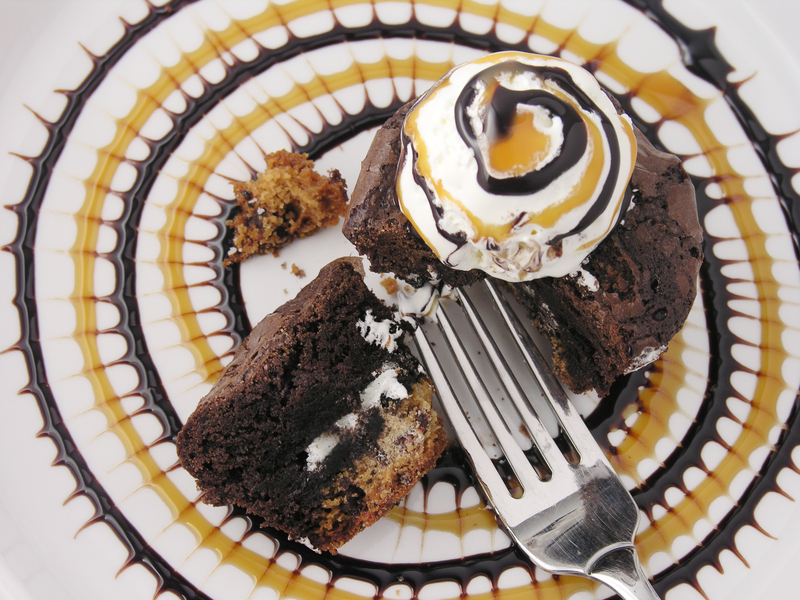 Poke a finger up through the hole in the bottom of the pan and grab that s’mores cup by its crust. Remove the disk from the bottom and you are ready to add topping. 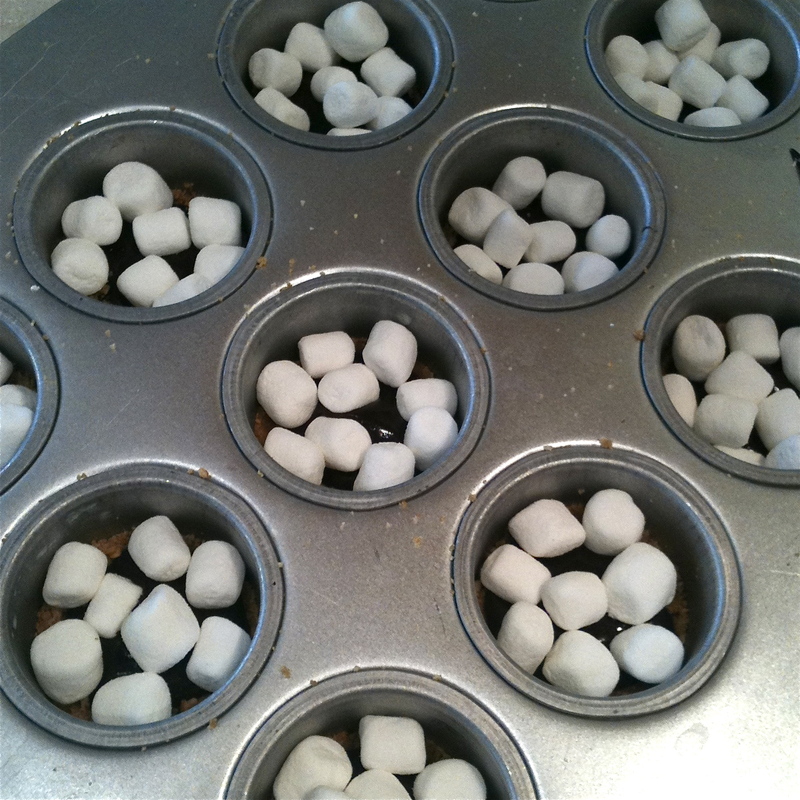 6-5-12: Check out this bloggers version using muffin cups: A Bunch of Bishops –so fun! 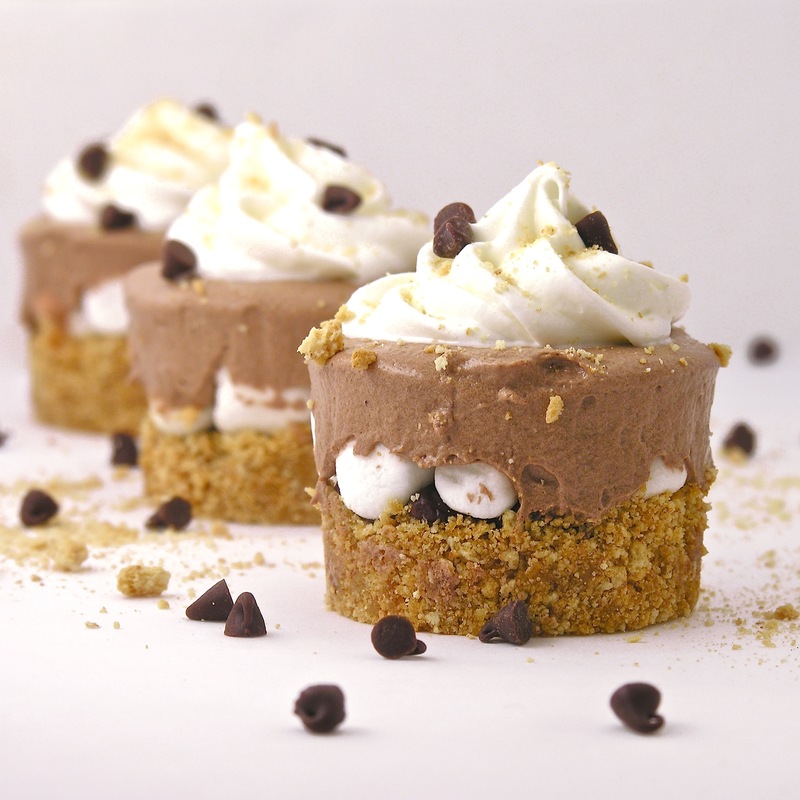 Posted in Frozen desserts, Miscellaneous and tagged chocolate, fancy dessert, frozen dessert, graham cracker crust, individual dessert, marshmallows, pudding, s'mores. Bookmark the permalink. This wonderful cake recipe is courtesy of my Uncle John. 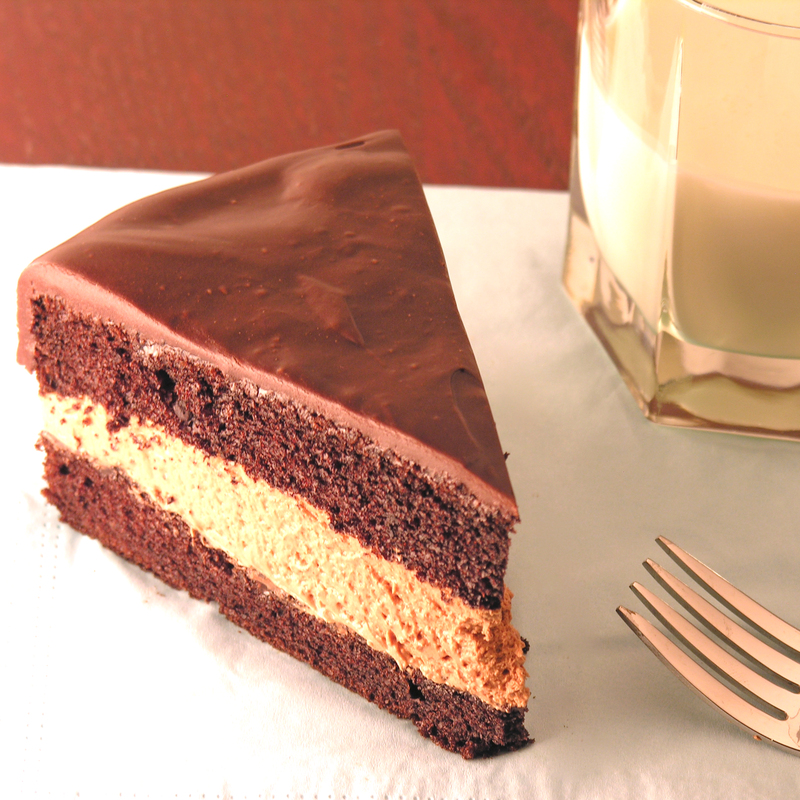 He has made this cake for family gatherings for years now and it is one of my favorites. I think I’d have tried it sooner if I’d known how EASY it is. 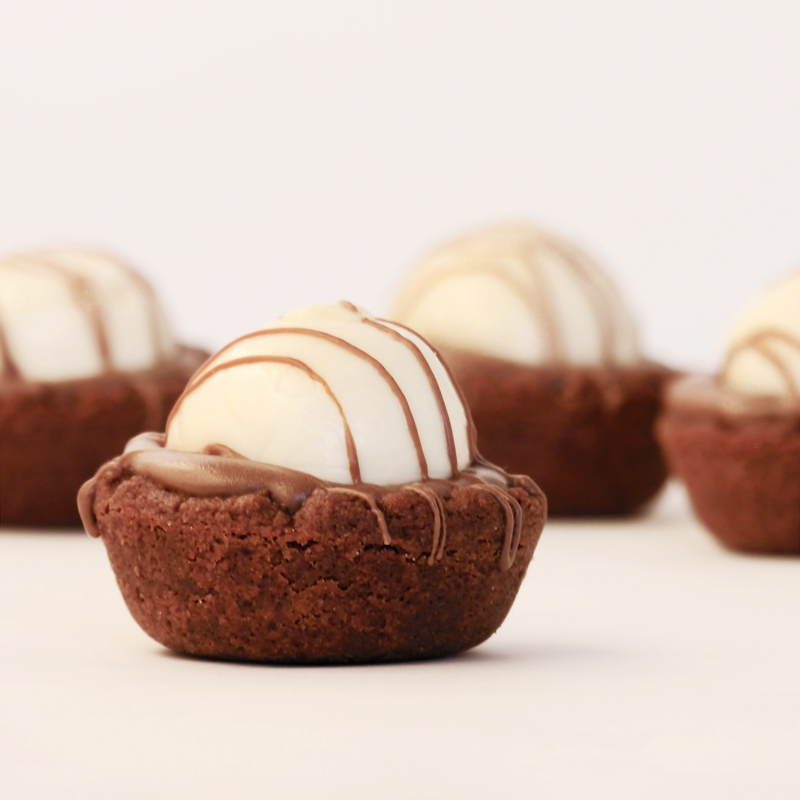 There’s nothing better than a really easy dessert that looks this fancy! one container of pre-made chocolate frosting. Make cake mix according to box and bake in 2 – 8 or 9 inch round pans (I cut parchment paper to fit and place it in the bottom of each pan so that it comes out easier). Cool cakes completely on a wire rack and while they are cooling make your mousse. 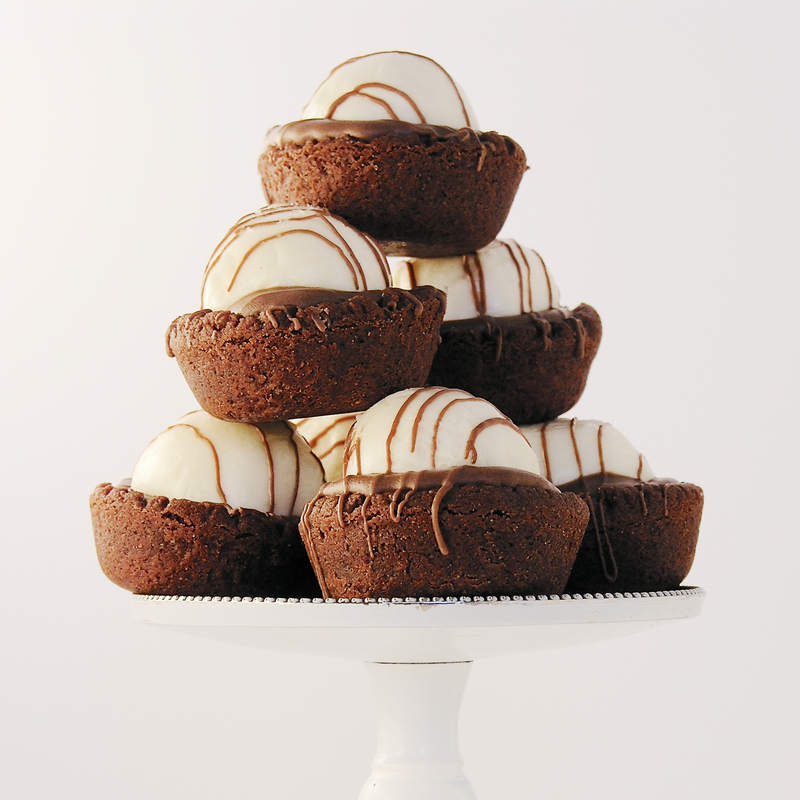 My thoughts: WHO KNEW you could melt frosting and make such a wonderful fudge-like topping? Learn something new every day. Uncle John sometimes adds peppermint extract to the mousse– so yummy– and I had the thought while I was making this that a layer of raspberry preserves somewhere in the middle would be amazing. I think you will just love this mousse. It is so creamy and flavorful. If you live in Africa and cant find Dream Whip PLEASE don’t ask me what to substitute– I have no idea what this stuff is…it’s MAGIC 🙂 and I love it! 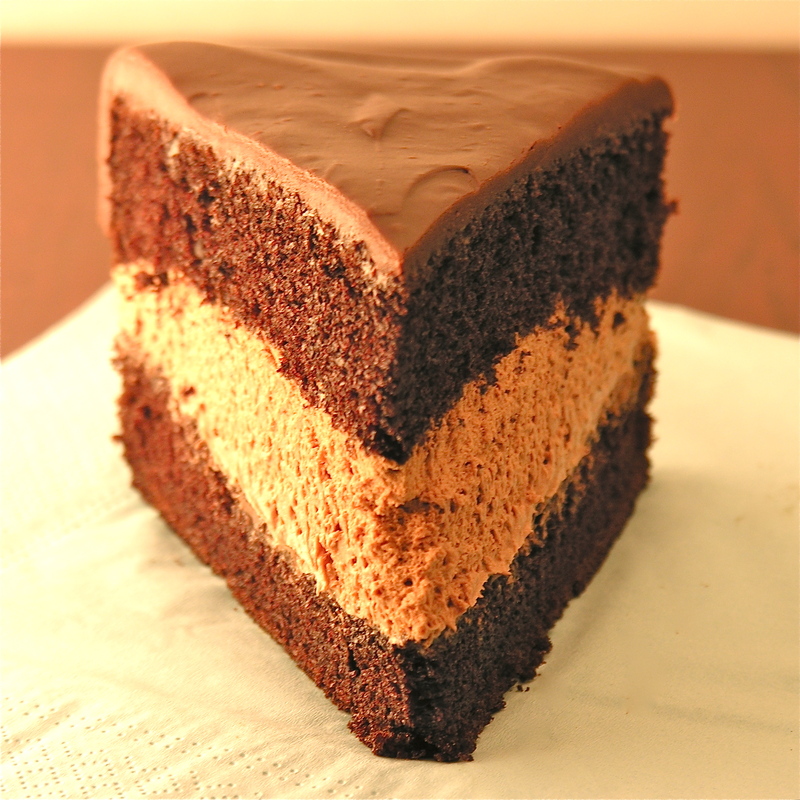 Posted in Cakes, Easy recipes and tagged baking, chocolate, chocolate ganache, cocoa, dessert, dream whip, easy dessert, fancy dessert, layer cake, melted frosting, mousse. Bookmark the permalink.